In this post, I'll present you some of the best noise-cancelling Bluetooth headsets for truckers, which eases their journey. The problem with truckers is that they need to keep their focus on the road. As answering the calls manually while driving truck is dangerous, and perhaps illegal in many countries. Bluetooth headset with a noise cancelling mic is a great option for truck riders. The sound quality and the volume that the headset can produce matters a lot. While driving trucks, the sound should be clear enough to get heard. The headsets that have less sensitivity require less power supplied to them, and offer relatively more loud and clear sound. You need to consider this aspect or you may end up buying headsets that sound poor. This is a no-brainer. All good trucker headsets come with a noise-cancelling mic. This aspect is very important. When you are commuting, there will be more noise. The sound of the truck and also the wind noise will interfere with the mic during the call. In those times, having a mic with your headset that cancels out the background noise comes to your rescue. If for any reason, you prefer not to use noise-cancelling technology, consider buying a trucker headset that comes with an unidirectional mic. It effectively gets you rid of the unwanted background noises. Truck riders are tough. So the headsets should be. The headset should be built solid to withstand a good amount of abuse. The truckers equipments like headsets should be built solidly to smoothly serve you down the rough lanes. No wonder that you wear these headsets on for hours together. If the headset is not comfort enough, you may feel like throwing it out to the trash. Before buying a good trucker headset, make sure that the headset offers superior comfort and stability when driving down the rocky road. The headset should comfortably rest on your head without vibrating too much when in a bumpy road or maybe while unloading the goods. It should not take an effort to make it stay in place; a good fit is essential. I've considered all these aspects and I've put together some of the best headsets. The trucker headsets I mentioned here provide good comfort, sound quality, durability, and also offer you unmatched comfort for long hours. This is one of the best headsets for truckers. With a mic that cancels up to 96% of the background noise, it's one of the best bets for truckers. This headset is mainly designed for answering calls conveniently. So, you can't expect that great immersive audio effect you get on high-end headsets. The sound turns out to be crystal clear, considering it to be used for communication. Mic is the major component of any headset. 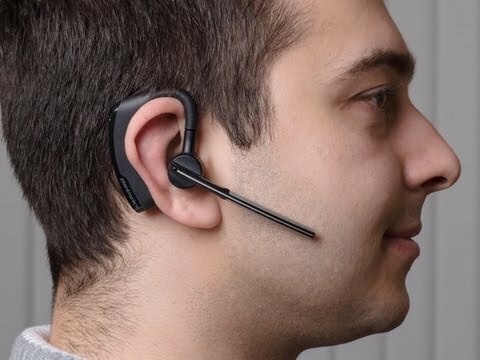 This headset is favorite in call centers and even for truckers for a reason. The mic is excellent in effectively cancelling out background noise like the harsh sound of the truck motors. It is quite astonishing to see how great these headsets are at cancelling background noise. The battery for the noise-cancellation is quite excellent. It offers 24-hours of talk time and whopping 500 hours of standby. This is great considering that truckers may have to travel for days. 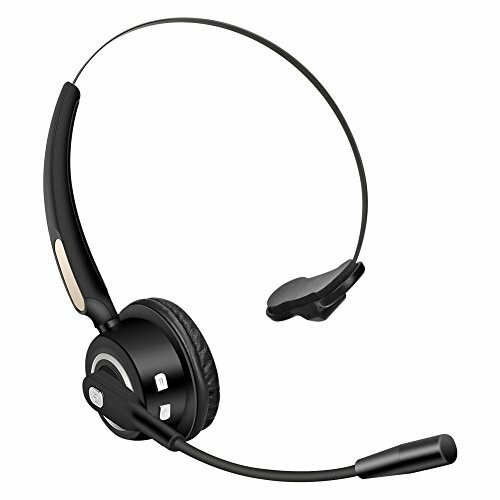 These headsets are extensively used in the call centers for a reason. They are designed to offer exceptional comfort for long wearing hours. These are extremely light and can be worn for long hours without any feeling of heaviness in the head. As these have only one-ear cup, these are lightweight. Your other ear will be free so that you can also pay attention to the things that are happening around you. The headset includes a control module that has volume controls, power controls, and also device pairing function buttons. The voice quality is excellent. You can hear the voice of whom you are talking to in spite of the sound and the loud background noise. The sound quality of the mic is excellent. This headset comes with tri-mic technology. This is to ensure that the background noise of varying frequencies like wind noise is effectively cancelled out. The primary mic ensures that the transmitted voice is crystal clear. The mic also comes equipped with voice recognition technology that enables you to answer or ignore the calls just by your voice commands. It does announce the name of the person who's calling you automatically. The battery life is great and gives you around 7 hours of talk time. It certainly outlasts the battery of your phone itself. The charging is also very fast with magnetic and snap-fit connection charging. The headset is designed to be water resistant. The headset will be resistant to rain or any spills that may occur. The comfort is greater than other previous versions of Voyager headsets. The superior comfort that this headset offers is a big advantage. You can easily wear these on for 7+ hours without getting fed up. This is one of the cheapest headsets you can ever get. It is one of the best headsets for truckers under $20. The headset fits in tight on your ears, making the sound to be very clearly heard. The voice is clearly heard both by the caller and receiver. The noise-cancellation feature of the mic is excellent. The mic is unidirectional. It gets rid of the background noise greatly. The headset offers a great talk time of 13 hours on one charge. Along with this, the headset can be paired with two devices at once. The headset itself gets charged in less than 5 hours, which is quite long when compared to BlueParrot one I mentioned in this post above. The headset as a whole is very balanced and lightweight. You can't feel the presence of the headset on your head after sometimes. It's so comfortable. It also comes with several buttons allowing you to answer the calls, volume control, redialing and voice calling. If you do not like on-ear headsets and looking for comfortable yet affordable full headsets, this won't disappoint you. The headset can be adjusted in any angle. There's nothing to complain about this headset. The sound quality of the headset is excellent. In fact, the receiver of the call will have no clue that you are using a wireless headset. You can't expect the sound playback quality to be excellent as this is wireless and noise-cancelling headset. The sound quality is pretty excellent considering that you only make phone calls with them. The sound turns out crystal clear. This headset comes with active noise cancelling technology that clears out background noise effectively. 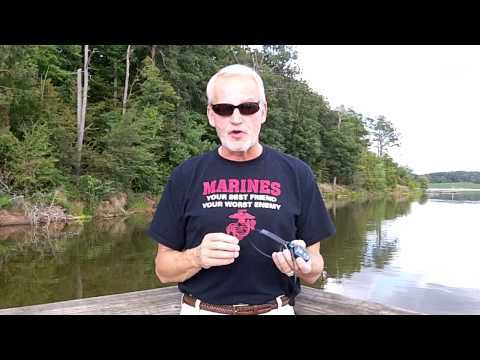 The Noise Blackout 3.0 dual microphone technology does a great job. In the dual mic configuration, the additional mic will be used for cancelling out background noise by picking up noise and producing a negative frequency of it. Along with this, as like that of Plantronics Voyager Legend, this headset also come with voice recognition technology, which lets you pick up and reject the phone calls by just speaking some commands, without pulling the phone from your pocket. The headset can be paired with two devices at the same time, in case if you are using two mobiles. It's a nice addition. While using this headset, I highly recommend you download the Jabra app on your smartphone for unlocking more customization options as per your needs. Mic comes close to your mouth. With this proximity, it can effectively detect and cancel out background noise. However, some of the times mic maybe too close. Once you get used to it, it may not be a major problem. Unlike the Jabra Pro headphones that are quite popular, these won't hurt your ears for longer wears. You can easily wear these on for hours altogether. After putting this on, you need to adjust the headset a little to secure a comfort fit. This is one of the best on-ear trucker headsets today. The incoming voice is fantastic. The headset is less sensitive; you may end up pushing up the volume level for getting a good audible sound. The headset may not be suitable for using in a very loud environment. The mic of this headset comes with noise-cancelling and echo-cancelling technologies. It does a great job of cancelling the background noise. The best thing about the mic of this headset is that the headset mic can be turned on or off by simply folding it open or close. This comes very handy to save some power out of its very long battery backup of 12 hours. The mic's noise reduction and the controls make using the headset a delight. 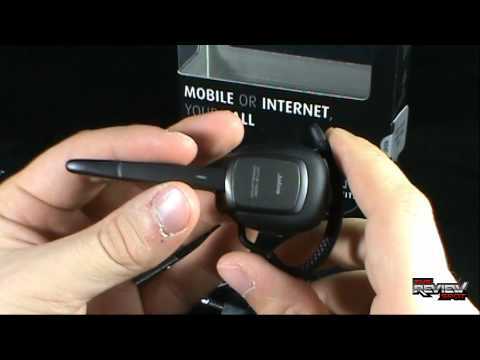 This mic also comes with voice commands like other headsets I mentioned. Due to the on-ear design of the headset, the headset is very comfortable. You may even forget that you are wearing the headset due to the lightweight design. It may be quite big for your ears, but you gradually get used to it. The headset comes with a secure plug so as to make sure it won't fall out. The fit is so secure that the headset won't fall out even with the secure plug open. If you've used any of the headsets that are too noisy and the volume is too low for you to talk, these headsets are for you. They are quite loud. The sound quality is excellent, as the sound of the person on the other end seems to be like talking in the landline with a good connection. The quality of the boom mic is excellent considering the price. When you find the right place near your mouth to position the boom mic, the voice quality turns out to be excellent. Battery life is excellent, and the mic tends to cancel out the road noise pretty effectively. As the boom arm is not long enough, you may find yourself talking loud to get your sound heard good to the other person. The boom mic is adjustable and seems bit flimsy. That won't be an issue if you use the headset with proper care. As I've said the sound quality of these are excellent. But the headband and boom seemed to be a bit loose. Nevertheless, they are lightweight and comfortable to wear it on for hours. But, yes sometimes the headband becomes uncomfortable for long hours. Overall it is a great headset for truckers at a good price. Almost no other headset can beat this in terms of price but it comes with some downsides. The sound quality is great considering it to be a Bluetooth and noise-cancelling headset. You may notice that the quality of the sound declines when you crank up the volume, it may be a downside. It offers great sound quality when in low volumes. This is where trucker headsets excel. The mic is great at cancelling out background noise. In spite of this noise cancellation. The person you're calling to would be surprised to see the quality of the sound offered that too by your wireless headset. The sound quality of the mic is just amazing without any noise. 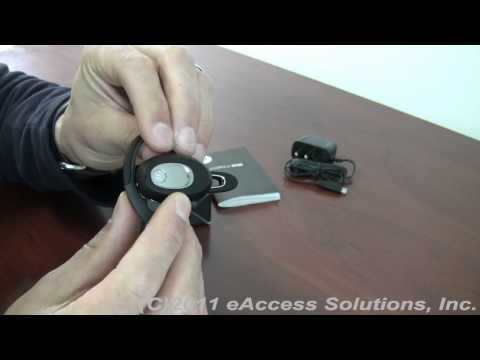 The mic is fully adjustable so that you can position it in front of your mouth greatly. When you position the mic half-an-inch from your mouth, the quality of the sound will be excellent. The comfort offered by the headband and cushioned earcups is excellent. The headset is light like other headsets for truckers. That adds up to the overall comfort offered by the headset. You can easily wear these on for a long period. At first, when you unbox it, the design seems to be a bit weird, but you'll love it once you get used to it. These are some of the best trucker headsets that you can get for the price. As I've said earlier, the comfort and noise-cancelling effectiveness of the headsets matter the most for truckers. Hope you loved the post. Good list of trucker headphones. I'm buying BlueParrot!